Redfly Creations: Mixes, mixes, mixes! In my attempts to save money and streamline my meal planning I decided to investigate homemade baking mixes. Over a period of several weeks, I looked over some of the many mix recipes that are out there. After trying various ones I compiled my own by mixing and matching. Through experimentation I made tweaks to each recipe so I feel that I can share them with you. Because these mixes were to put together to make baking quicker and easier, I decided to also print out the recipes for each one on these tags and hang them on the back of the mix jar. Then I would also have the recipe handy, and wouldn't have to take the time finding the recipe each time I wanted to use it. I settled on 6 mixes that I thought would be helpful to our family. So far the only mix I haven't tried yet is the cornbread mix. We are very happy with all the rest! Spread 2 tablespoons of melted butter on biscuits before baking. Try to handle the dough as little as possible, as this will create rubberiness if handled too much. The original recipe I found only had half the filling recipe and used it only in the middle. The coffee cake really needed some sweetness sprinkled on the top though. So I double the filling and sprinkled the other half on the top----much better!! Mix together mix and milk. Roll out the dough on floured surface. Spread butter, then sprinkle on brown sugar/cinnamon mix. Roll up the dough and cut into 2" wide slices. Bake at 400 degrees for 10-15 min. Mix together the glaze then spread on rolls when cooled a little. 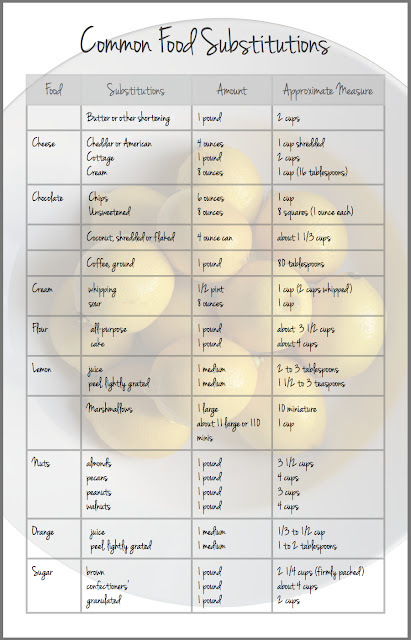 Divide dough into 15 little balls, cover and let them rise 10-15 min. Roll them out as thin as you can get them. (You can use a tortilla press, but I have found that a rolling pin works just as well, or better) . Fry on a dry, hot griddle, about 2 min. on each side or until little brown spots begin to appear. If it takes longer than 2 minutes your griddle is not hot enough. All the other ingredients I already had on hand. Probably the most expensive item, if you don't already have it in your pantry, is the powdered milk. So, let's say I spent a total of $20 (because of counting in the cost of the items I already had on hand) then it would be about $.46 a mix. Not bad! Free Common Food Substitution Printable Charts! I love how you stored these. I want my pantry to look like yours! What a GREAT idea and I'm in love with the containers and labels! What a great idea to save money! New follower. Such a wonderful idea! You really went the extra mile with the labels and the recipes ~ thank you. I think these would make awesome gifts too. I'm a new follower and so glad I stopped by from Tidy Mom's! I'm anxious to see more of your creativity. Stop by and say hi when you can. You are too fabulous! I bet you could substiute powdered buttermilk in the pancake mix? That could be yummy too! That's a great idea! Thanks for sharing.. The canisters are Mainstays brand and were in the kitchen storage aisle. I also found a link to the item at walmart.com: http://www.walmart.com/search/search-ngdo?tab_value=all&search_query=mainstays+plastic+containers&cat_id=4044_623679&pref_store=5191&ic=16_16. The bummer is it says price varies by store, so it sounds like you can't purchase them online. I haven't done chocolate chip cookie mix, but I have heard that people have and they love it. I like making my cookie dough ahead of time and freezing it in logs or balls. Then I put them on the pan and bake them frozen for just a few minutes longer. Delicious! Thanks so much, I will look up the item now. I found a chocolate chip cookie mix recipe and I will try putting it together this weekend. I'll let you know how it turns out. Can't wait to try your brownie mix :-) thanks again. Great! You'll have to let me know if you like the cookie mix too. I love this idea and how it makes more than just one recipe at a time. Have you done cake mixes like this too? All the recipes I've found just makes 1 recipe. I would like the bulk to have on hand. Love Love Love your idea. Here is another one that has the bulk mix with a lot of varieties of cakes to make with it. The shortening that I use is like Crisco. To mix it with the dry ingredients you can use a pastry cutter, two knives, or your hands. I personally prefer to use my hands. I mix it up with my finger tips, until it is all crumbly and there are no "chunks" of shortening left. Trust that helps. I had the same exact question! Thank u for explaining the shortening!!! This is such a great idea! Thank you so much for sharing your recipes (and the beautiful labels)! This sounds great! Have you tried them all yet? How are the tortillas and the pancake/waffle mix? Yes, I have tried them all. I love all of them! The pancake recipe I added a little more water to, and changed the recipe so that it would reflect that. The tortillas are great! They taste so much better than the store bought ones. One recipe usually does one meal for our family of 5. About 3 each. I love the fact that it gives me options when I need to add something else to make a meal stretch. I definitely will be making more of all of them when these run out! Great! Glad I was able to help and thanks for sharing. You're right, in this economy we have to stretch our pennies in all sorts of directions! What size pan do you make the coffee cake in? 8 inch square? Yes, I use an 8X8. Thanks for catching that. I will add that to the recipe so there is no confusion. This is such a creative idea, I use all of my own recipes and buy my flour and other baking goods in bulk, so this would be a great (and pretty) way to utilize all of it, while cutting down on my kitchen time! 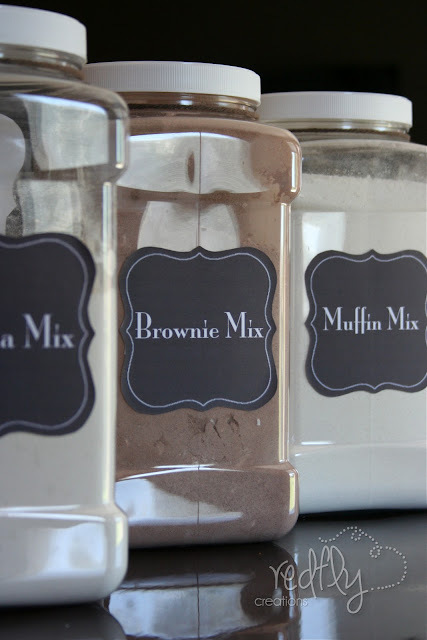 Does each container make the items once, like the brownie mix is that for a one time of making the brownies or multiple? Each container makes several mixes. If you look at the bottom of my post where I break up the cost for the mixes there is a list of what I guesstimated that each mix would make. For example: Brownie mix about 8, 6 muffin mixes, etc.... Hope that helps! Have fun! Hi Melissa, I'm going to try this but had a question - do you store the mixes that have the shortening in them in your pantry or in the fridge? I would think the shortening would go bad? Thanks, and great job! Hi Catherine. That is a good question. If you are using margarine for your shortening than you do need to store it in the fridge. If you use crisco or oil you can store it in the pantry. I used crisco for all of my shortening recipes, therefore I store them in the pantry. Trust this helps! These are awesome!! What is the shelf life for these mixes?? It would depend mostly on how airtight your packaging was. All of the ingredients are dry, so I would think it would be the same as for each individual ingredient before you combined them as a mix. That sounds great, but if you are using shortening (I plan to use coconut oil), then the ingredients aren't dry...? I am curious as to the shelf life, after the oil is added... Thanks!! This is pure genius! I cook almost everything from scratch, but it is time consuming. This idea makes life just that little bit easier. Thank you for sharing!!! I've been saving jars from peanuts/mixed nuts to use in my pantry. They look similar to these, but they are "free." I saw this post on Pinterest and came for a closer look at your labels. I don't make baking mixes because we don't eat much flour/sugar, but I do make my own spice mixes- taco seasoning, fish seasoning, beef rub, seasoning salt, Greek seasoning. Great idea to save the mixed nuts jars. Those would work perfectly for your spice mixes! You'll have to let me know how you like your taco seasoning. That would be something I'd be interested in trying to make in bulk. Found this sight for bulk that cookie mixes that I thought you would enjoy. ou can make several different cookies with this bulk mix. Also has the individual recipes for each. I'm surfing the web now for other bulk recipes, also interested in cake mixes. Thank you Robin for sharing this link. How fun to have a bulk cookie mix. I'll have to try it out! Great Idea! And the best part is there are now bizarre ingredients that make you go "hmmmm". Have you ever heard of Alison's Pantry? They make a vanilla powder that you could use in these mixes, to eliminate a step when you're using the mix. I have never heard of them, but I will check it out. I actually use a mexican pure vanilla that I really like. It gives everything such a great flavor. Powdered vanilla would mix right in beautifully. Thanks for the suggestion! Di you use all purpose flour or self rising? Love this...and love the labels! Would you mind sharing how you made the template for the labels, and what font you used? Thanks!! I have figured out how to make some labels, (getting ready to organize my entire pantry) but would LOVE to know the name of the font you used! I plan to use your free printable, and would love the fonts to match in the entire pantry! Thanks!! I'm sorry it took me a while to get back to you. The font is Mona Lisa Solid ITC TT. I believe it was a standard font on my Mac. If you would like to use the brown template, send me a quick message on my Facebook with your email, and I'll email you the template. Then you can adjust and create for your pantry. Can you please help me I cant download this wonderful files?? I found this on Pinterest and I am so excited to get started but I cant get the copies of the labels? If you copy and paste these in your browser it will take you to the page where you can download the files. Then just click on the green download button up on the far right, and it should get you going. Let me know if you have trouble with anything. Would the All Purpose Quick Mix work for a pizza dough? Or, would I need to make some changes? I am very new to cooking from scratch, but I am also very excited about it. I just quit my job as a teacher to stay home with my baby and I am trying to make our dollars go a little further too. So, thank you for this! Congratulations on staying home with your baby! I was able to do the same and wouldn't change those wonderful years for anything. Get the blank template also? Thanks for sharing! Great!! Glad you are able to use them. Yes, if you would like the blank template send me a message on my facebook page and I will instant message the link to you. Where can I get the containers? Love them! The canisters are Mainstays brand and were in the kitchen storage aisle at Walmart. I also found a link to the item at walmart.com: http://www.walmart.com/search/search-ngdo?tab_value=all&search_query=mainstays+plastic+containers&cat_id=4044_623679&pref_store=5191&ic=16_16. Love this. I am very against all the chemicals in our food today. Love this idea. Love these! I love how all your containers match..My question is what size labels do you use when you print these. I cant wait to print them out! The label is about 3 1/2" x 3 1/2". I used a sheet that didn't have any perforations so I could just cut out the label. I've been using these canisters from Walmart for my home made laundry powder and my home made Belgian Waffle mix. Love that now I can add your purty labels!!! thank you for this! it is truly amazing!! I will be doing this in my home. Thankyou for template as well!! I love your labels. I'm wondering about printing them off though, what label paper do I buy? Is it one big sheet and I have to cut them out by hand? Sorry, confused. Sorry, I just saw the earlier post. When my children were young we lived off of these mixes. My son's favorite was the coffee cake. If any of my kids started, but didn't finish, an apple, I tucked it in the fridge and planned a coffee cake in the next 48 hours. I chopped the flesh into raisin sized pieces and stirred them into the batter and sprinkled the cinnamon sugar on top. This would work with pears, too. Now that he's at college, it's still a favorite when he comes home. Great recipes! And your labels are so cute! I just found you through 24/7 moms, and I'm sharing your post on my social networks! Have a great day! Please come join In The Kitchen Thursdays Blog Party and share your creations! Hope to see you there! I am following your blog. Hope you will come by and do the same! Thanks for doing this. Always looking for ways to save money. Made the muffin mix yesterday and a added cinnamon and nutmeg to the mix. They were wonderful. So light and fluffy...yes, I at too many of them....couldn't help myself. Thanks again! Your welcome---glad you are enjoying the mixes. Hi I was just wondering for the Tortilla mix what is the best way to combine all the indigence. Combine all the dry ingredients first, then mix in the shortning. Use a pastry cutter, two knives or your finger tips, until the mixture resembles small crumbs. I personally prefer my finger tips. I want to use a Crisco substitute, but assume I will need to add it each time I make a recipe (vs. in the big mix)...how much shortening would each recipe call for if you hadn't put it in the big mix? That way I can figure out how much of each substitute (whether it be butter or applesauce) I would need? I really don't know as I have never tried it. I have heard various things about substituting whole wheat for all purpose flour. Some say you need to use less, as it tends to be heavier than all purpose flour, others say they do fine with the same proportions. So I guess you may just have to try it and see. Let me know if it works out for you. If anyone else knows the answer for this feel free to answer. I was hoping to edit the recipes slightly and make some others (e.g. pumpkin bread), but can't edit from the downloaded PDF's. Would you be willing to email the templates to me? I could give you my email (offline). Sure thing. The best way is to send me an email via my contact button. I can reply with the link to the templates. Hi. I am wondering if bread flour can be used in these mixes? I have never used bread flour. But here is an article that explains the difference between all purpose flour and bread flour and when you should use each. I found this on Pinterest and I'm looking forward to trying some of these. I noticed the pancake mix specifically says unbleached flour. Can unbleached flour be used for all the mixes? Sorry if thus us a silly question. Thanks do much for sharing. I really want to do this! Thank you! I have a question about the tortilla mix. Wouldn't you use the shortning during the cooking process and not part of the mix for storage and future uses? I have made and used all of the mixes and I love them. I have learned that I can make up the biscuit mix, put them on a wax paper lined baking sheet and put them in the freezer to freeze. Once frozen hard you put them in Ziploc bags and use as many as you want. You can also make up cooked pancakes and put them up in the freezer too. Makes my life easy. That's wonderful Rhonda! I am so glad that you are making good use of them. That is a great idea to have the biscuits pre-made and frozen. Thanks for sharing! Question about the biscuits, I just made some using the milk instead of water and the inside of the biscuits still seemed pretty "wet" is it because I used the milk instead of water ? So I was thinking this would be a great gift item for my daughter in college. She is always coming home and raiding my pantry. If I made her all of these, and at the same time made them for myself, then she would have months of supplies in her pantry. Thanks. Great idea Trish! Especially because they would be really quick for her to make. I'm sure she'll love it! Wow! 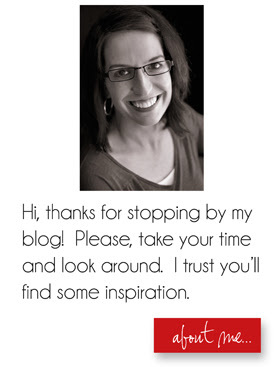 Hi, I discovered your blog through Pinterest! Cool idea! I should try this! Opps sorry! I ment Leela. Weird typo. Hmm...that was weird! I use coconut oil for most of my baking now. Do you think I could mix that into the mixes instead of shortening? Thanks! If you keep your coconut oil on the shelf, then it should be perfectly safe. If you store it in the refrigerator, than you would also need to store your mix in the refrigerator once finished as well. Great idea for a Christmas gift!! I'm sure they will enjoy it. I think it would be fine to go ahead and add the shortening as shortening has a very long shelf life. However if you are using margarine, or butter for the shortening then, yes, I would recommend leaving it out. Hi, these look great, I really want to try that. What kind of dry milk do you use? Is there a specific brand? 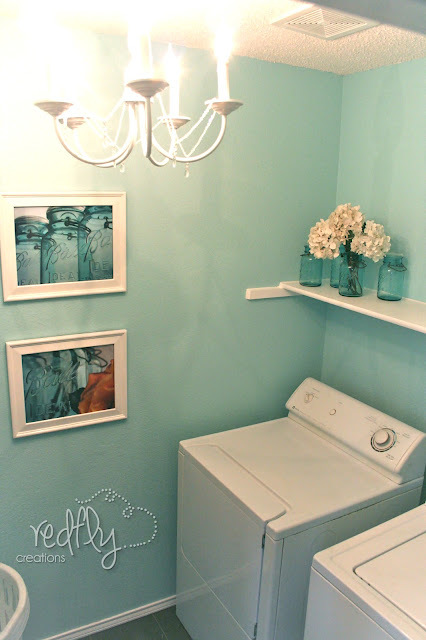 With the all purpose mix do you have to do anything special since the shortening is added for storage? Do you know how long it lasts? Yes, there are a couple of the recipes that make more than 1 gal. The all purpose mix makes about 2 gal. The muffin recipe does as well. The tortilla recipe makes about 2 gal as well, if you make the whole batch. All the others should be 1 gal or less. seriously such a great idea! and I love the Labels! "Over a period of several weeks, I looked over some of the many mix recipes that are out there. After trying various ones I compiled my own by mixing and matching. 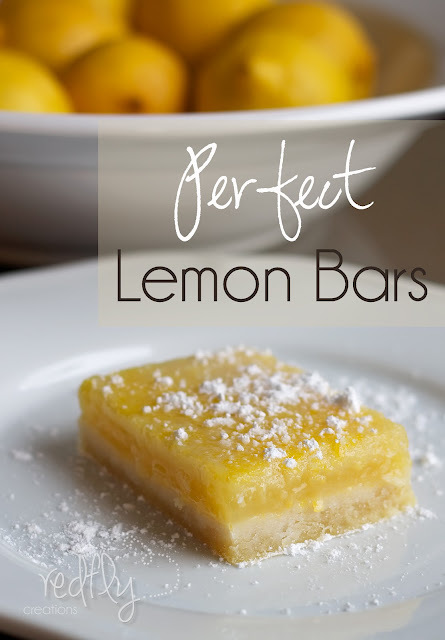 Through experimentation I made tweaks to the recipes so I feel that I can share them with you." Some say that mine are exactly like Heart and Home but that is not my primary source. I see very similar recipes from several sites and from my own cookbooks. I did mix and match and change things to make them my own. If you own one of these sites and feel that I have infringed, please identify yourself and lets look at it together. I am always MORE than happy to give credit where credit is due as you will see in several posts throughout my blog. I cant print the labels is there a secert to printing them off? I have a question about the tortilla mix. How do you incorporate the shortening? Do you crumble it into the dry mix and store it that way? Will it go bad like that? Thank you. Also how long can these mixes be stored for? Hi Tuesday! The shortening is just mixed into the dry mixture. The shelf life is the same as each of the ingredients would be individually. If you use butter for the shortening than it would need to be stored in the fridge. Sorry about the lost comment girlsgonescrappin. I hate it when I have to type things over too. In reference to the brownie mix, I do not add any water to it. In comparison to other brownie mixes, this one will seem pretty thick. But it will turn out good in the end. :0) Also, I do not grease my pan, but I often don't for brownies. So if you usually do for brownies, I suggest go right ahead and grease it. Would it be possible to tell me what the yield is for say the biscuits, muffins and pancake recipes? Hi! I'm so excited to try some of these mixes! I've got two toddlers at home, so breakfast needs to be quick and simple for us! I had a question about the pancake/waffle mix, though. If I use milk when I prep it, do I need to use the powdered milk in the mix? Thanks for your help! No, you don't need to use the powdered milk in the mix if you are using milk in the prep time. However, if you would rather have the option of either, you can add the powdered milk, and when you want use milk/or water in the prep as it wouldn't hurt to have both milks. I LOVE this! This is just what I need to get my mess of a pantry into shape!! Have you ever though of offering a "fill-in-the-blank" version? I love everything matchy-matchy and would like to have this on my sugar... flour... salt... etc... etc... Ohhhhh YEAH! I was wondering if you could substitute an all purpose gluten free flour in your mixes. Any experience with this by you or your followers? RBS, I'm sorry I have had no experience with the gluten free flour. I just re-read through the comments and it doesn't look like anyone has mentioned that yet either. Sorry! I didn't realize it but somehow I grabbed Dark Cocoa powder last night so I just made my brownie mix with that. I do love dark chocolate normally but have never used it in powder for. I'm hoping they will still be yummy! Thank you for all the great mix recipes! Thank you for the great tutorial! I love making things from scratch! I've included this in my weekly roundup of useful blogs at www.doomestic.com Thanks again!! Love this idea! How do I get a template for the labels? This is a great idea, I will definitly try this out and pin it! Although, I am wondering if could could tell me what the shelf life might be on the mixes? I have no idea on the shelf life, I made the quick mix before Thanksgiving and it's gone! It worked just as well the first time as the last time. I attempted a different recipe for "bisquick" before, this one is far superior. I couldn't find the mix recipe today, so I had to search on pinterest until I found the right one again! It's a keeper, even for my Bisquick-hating hubby!! I'm so glad you are enjoying it Jennifer! That's one of things on my list for tomorrow....make more quick mix. We ran out again! It sure is handy to have. So glad you were able to find the mix again . :0). Have a great weekend ! The brownie mix is fantastic. I usually made store bought because it was one of the things that I thought box mix tasted better, not any more. Made a double batch for future use. Now I just wish I could find a chocolate chip cookie recipe that I love as much. I haven't come up with a chocolate chip cookie mix yet. As far as the label link, I double checked and it was working for me. Hummmm. Is there a large green box coming up that says download? The link will take you to a mediafire page and there should be a green box that says download. Just click on that box and it should download for you. Sorry about that. Let me know if you are still having trouble. On the All Purpose Quick Mix you list 5 cups of vegetable shortening, I would think this makes a clumpy mixture as opposed to a dry mix. Do you store it in a jar until needed and if so how long does it store for? Yes, that is a lot of shortening. But it actually blends in quite well, and ends up as a dry mixture. Basically the same consistency as Bisquick. It can store for quite a while. Basically as long as each of the ingredients can be stored on their own. Ours never goes more than a couple of months because we use it up. My container only holds about half of the mix, so the rest I put in a tupperware and put it in the freezer. Then I just refill my container when it gets empty. Thanks Melissa for replying, we have gallon jars we get free from the local grocery and I thought your mixes would be great to store in them. Going to have a busy weekend! Hi! My question may have already been answered, but do you have to keep these in the fridge or just in your pantry and how long do they keep for? 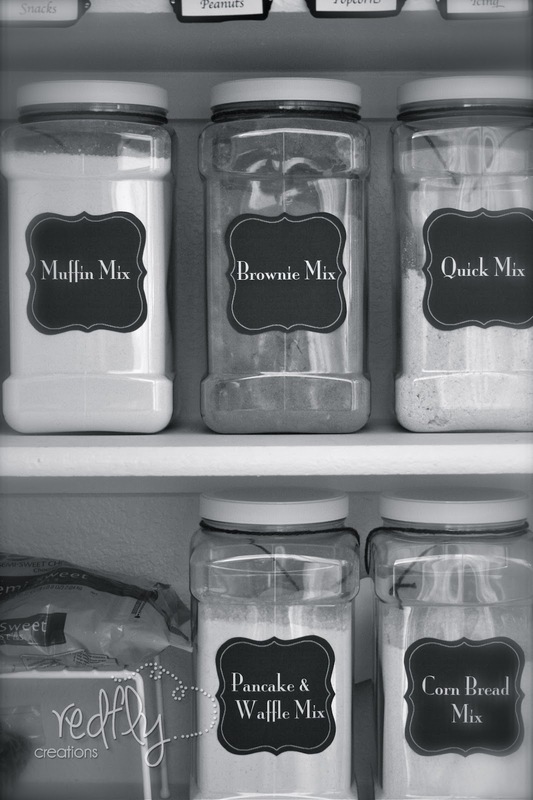 I am not finding a print out for just the basic mixes like the quick mix, tortilla mix, brownie mix, etc. I don't know about you but I like everything to look the same so a printable just like the rest would be awesome. Am I missing it someplace? I read through all the comments, but did not see my question. If I wanted to use vegetable oil instead of the shortening....would the measurement be the same? And the texture of the mix? Have you ever used oil? All the recipes I've found so far use shortening...but some mention using oil but don't elaborate on it....thanks for the recipes. I have a muffin mix that I have made for years that is so good...but it does use butter flavored shortening. Maybe I'll make it with butter and store it in the fridge. It just doesn't seem like it would keep as long with real butter even in the fridge??? Sorry, sew quick, somehow I missed your comment. :(. This may be way too late in responding to you, but I figured I might as well anyways. I would say that the mix made with real butter and storing it in the fridge up to 6 weeks, the same amount of time butter normally would last in the fridge. As far as substituting oil for the shortening the muffins will have a slightly different taste, and they will end up being a little heavier. The shortening helps give it the lighter feel. Once again sorry it took me so long to respond. But hope this helps! I made up the quick mix and made biscuits. They were great! I tried it again today and it failed twice. They were flat and didn't rise at all. Not the light and fluffy ones the first time. Any suggestions? The only thing I can think of is that maybe the baking powder didn't get mixed up into the mix very well. That could lead to some turning out and others not. Other than that, I really don't know. It is very odd. Sorry! Hopefully the rest of the batch will be ok. I would be tempted, however, to just add a tsp of Baking Powder to each batch if they don't turn out again. I'm sorry Heather. I'm really not sure, except that your dry ingredients must have not gotten mixed up well. In order for the whole batch to not be ruined, I would probably just add a tsp to the batch when you are making them. This is one of the most useful and wonderful things I have found through Pinterest! Thank you for doing the hard work! I love this idea! This would be wonderful for gifts! I was wondering if you could add say to the Brownie mix powdered eggs and powdered butter and adjust the amount of water. These mixes are a great way of saving time and money. Do you have any idea what the shelf life would be if they were sealed in jars or seal a meal pouches. Thank you for sharing. I don't see why not Debbie. As far as the shelf life the mixes are as good as the individual ingredients. Crisscross, flour, sugar etc.... Have a very long shelf life. I'm not sure what the shelf life would be if you did use the powdered egg substitute. Kim, since these brownies are a little more cake-like than store bought brownies, I would just make the recipe as usual and simply pour them into the cupcake tins. Add your favorite frosting and they should be great! I've been trying for almost an hour to print the labels and I'm sooooo frustrated! I've downloaded this, and downloaded that, doing who knows what kind of damage (or uploaded what kind of junk) to my computer and still no labels!!! What am I doing wrong?? I'm almost in tears!! I'm soo sorry it has been so frustrating for you Missy!!! If you send me a quick mail via my contact button I can send you the labels to print out from there. Oh, thank you so much! Who knows WHAT crap I downloaded...!! I just wanted you to know I've been using these mixes for over a year now, with superb results! Love, love, love them! I use the same containers you have used, but made my own labels...and it inspired me to redo all of my kitchen cabinets with inexpensive containers from the Dollar Tree! Thank you, not only for the recipes, but also for the inspiration to organize my kitchen! That's a great idea Alison! I'm sure your pantry looks very pretty with all those ball jars lined up too. Thank you for sharing. I saw a question about substituting gluten free flours, has anyone tried it? I would love to do this for my busy family life. But we do need gluten free. It looks so nice in the pantry! And I love the idea of having the recipe right there. I have made "sand art" mixes in mason jars. But this seems much more practical for the family. I made brownies last evening from a BC mix and forgot to add english walnuts and brownies just need nuts..although I know there are people who have nut allergies and must be very careful. Thanks for sharing these recipes for mixes..Wished the lady who makes her own seasonings will share her recipes for those. Hint! Hint! Hint! I need to go back and read this blog thoroughly to understand how you do a single recipe from the bulk mix. Some people(like me)are a little dense at times! It's called a bit of reading disability I think. I have always swore by Tupperware products but their prices are way too high for my budget anymore. There are many products made today that are very comparible to Tupperware for a lot less. What awesome mixes! I use the muffin mix weekly for my students and change flavors constantly- its easy to get chocolate or raspberry or blueberry muffins from this mix. Is it possible to make a sugar free version? My niece is hypoglycemic and I like to have things on hand for her. Got the muffin mix for Christmas. Have a question on the blueberry muffins. Where is the oil or shortening? Do you do the plain muffins and add the blueberry mix to it or just fob the blueberry part? I am in search of a quick mix recipe that I can use for bread. I live on a farm far removed from towns/cities and providing my family with bread is proving to be a challenge as I do not have electricity on the farm and cannot seem to find the time or energy to bake bread from scratch each time. I am really having trouble with this. Could I use your quick mix to bake bread or do you have any other suggestions/advice? I'd love to see pictures, I'm a visual person. Hi Melissa... how if I dont want to put butter or shortening in the mix because I dont want to keep the mix in the refridge? Hey Melissa, Is is okay to use Self rising flour? If so, do you still have to use the baking powder and salt in the mix? My batter came out extremely thick and my brownies we're very cake like. Any way to thin the batter so they are fudgier and have a batter that pours instead of spreads? Also, without greasing the pan as the instructions state, they stuck quite a bit. Did I do something wrong? Are you finding the whitney bank login page? Well, it is not at all hard to find, but you are not there yet.